My article below formed the basis of a piece titled 'Six wartime lessons in household thrift' that appeared in the The Times. 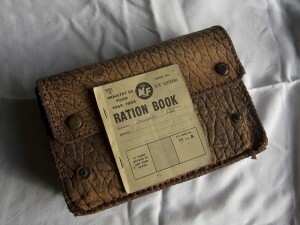 In June 1954 rationing officially ended in the UK. 60 years on and the average person now bins £200 worth of unopened, cooked or partly eaten food & drink each year. Yet there are easy ways in which shoppers can cut their food waste and slash their shopping bills. The days of rationing have a lot to teach us. You can cut down on food waste and slash your shopping bill by understanding the difference between ‘Best before’, ‘Display until’ and ‘Use by’ dates on food packaging. Best before date - food can be consumed after this date but, as the title suggests, it will not be at its best. If you have food that is just past its best before date then check whether it is still edible before throwing it away. 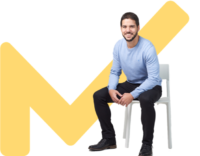 Use by - certain food and drink go off quickly and will have a ‘Use by’ date. Don’t consume anything past this date even if it looks ok. Display until & Sell by - this label is used by supermarkets to tell staff when to take products off the shelf. You can ignore these dates. Do you know when the food in your fridge and cupboard are due to expire? Make a note of any ‘use by’ or ‘best before’ dates and use this information to plan your meals. With the advent of online shopping a number of supermarkets even provide you with a pre-populated list upon delivery. In contrast to the days of rationing, the prevalence of freezer means that we can now extend the life of food by freezing it before the best before date & then defrost it for 24 hours before use. So get organised! First try to buy longer life products such as frozen vegetables, tinned products, pastas and rice. But you can also shop smarter. Supermarkets will cut the price of products nearing expiry dates. This is often done at certain times of the day, and the later in the day the bigger the discount. Ask staff at your local supermarket when they carry out reductions and shop at those times. However, this is not just an in-store trick www.approvedfood.co.uk allows you to buy food that is out of date (or close to) but not yet gone off. By buying their short dated lines you could cut up to 70% off your bill. Avoid being tempted by offers and buying convenience food.This will cut your shopping bill as well as your food waste. In the days of rationing fresh food and vegetables were bought mainly from British producers so people ate what was in season. Globalisation means that the days of only seeing fruit and vegetables on the shelf when they are in season are long gone. But while the produce may be available all year round the price does vary in accordance to when it is in season. So if, like the days of rationing, you stick to buying fruit and vegetables when they are in season (and avoid the expensive off-season items) you can cut your food bill. Eattheseasons.co.uk is a neat website that tells you what is in season but also gives you a few recipe ideas. Current in season produce includes strawberries,broccoli and broad beans. Finally, lovefoodhatewaste.com is full of ideas on how to cut food waste and save money. But perhaps the biggest change you can make is to note down the food you waste and then learn from it. Excellent post, lessons to be learned by everyone. With modern consumerism and the availability of fresh produce all year round, there is no reason that we can’t take a leaf out of the rationing years. Brilliant, Damien!